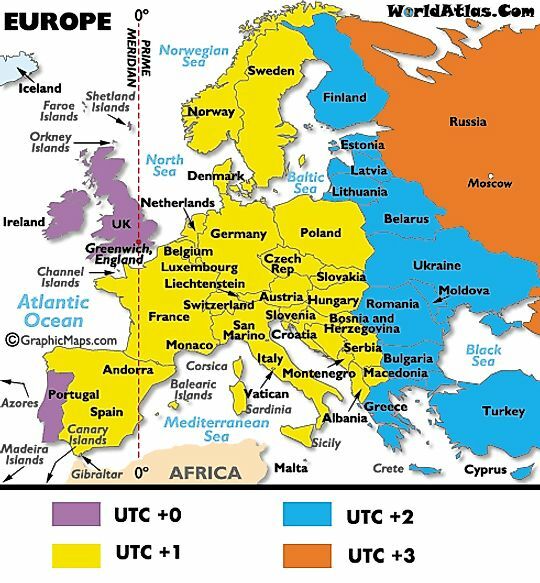 Portugal observes Europe/Lisbon time (UTC+00). Daylights Saving Time (UTC+01:00) is also observed in Portugal, usually from March to September. The Madeira Islands have their own time zone, called the Atlantic/Madeira; however, it follows the same time as Europe/Lisbon time. The timezone of the Azores Islands is one hour behind mainland Portugal (UTC -01:00). This time zone is called Atlantic/Azores time. The Azores Islands also observe Daylights Saving Time (UTC+00:00).